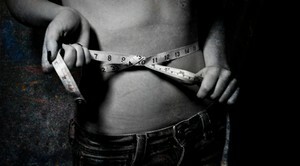 Pro ana websites are websites created by and for people who have 'chosen' anorexia or bulimia as lifestyle choices. These websites offer how-to tips on extreme weight loss, dieting and purging and in offer general support for those that wish to continue with disordered eating. Although many experts consider these websites very dangerous, they outnumber pro-recovery type sites and definitely pose a threat to those with or flirting with eating disorders. These sites offer support for those that resist treatment and encourage denial. They also encourage more extreme behaviors and more ‘competitive’ weight loss. Through the support of an online community, extreme and socially unaccepted behaviors are normalized. Parents and loved ones should be aware of these sites and should consider the use of these sites a serious red-flag warning for the existence of an eating disorder.